We have a dear friend who only likes salad if it’s chopped. Really! 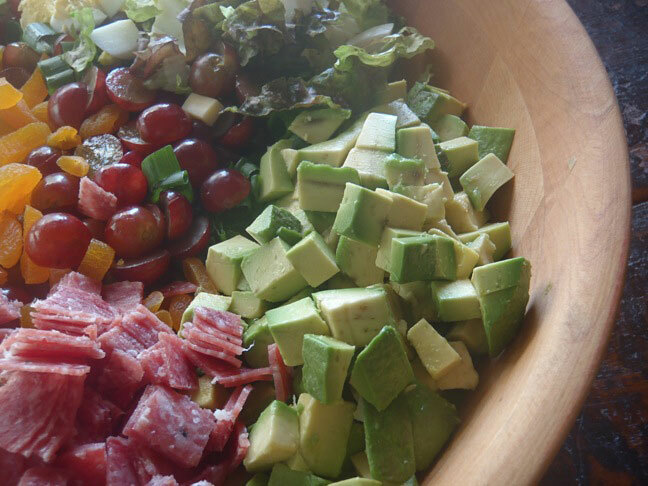 Needless to say our friend is somewhat of chopped salad expert! He and his family came over a couple weeks ago for lunch, and I just had to make this for him! I also love making salads like this because even though my boys don’t eat salad, they do like a lot of the individual ingredients. 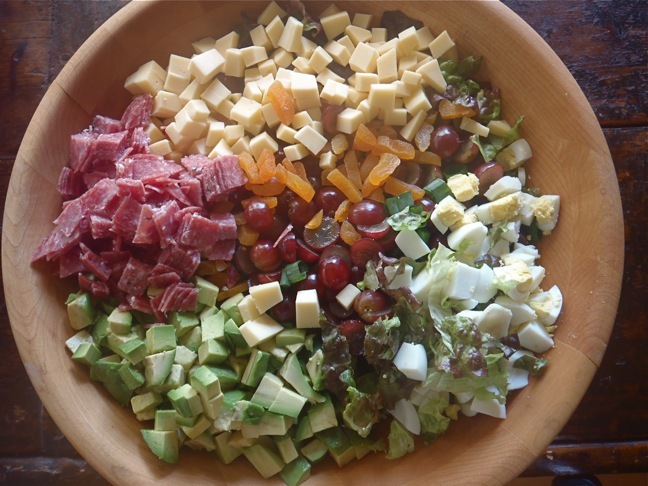 So while the grown-ups eat this salad, my boys each have a plate of the hard boiled eggs, salami, cheese, and grapes. It works out well, and I’m not making a whole separate meal for them! All of the above ingredients that say “chopped” should be chopped into about 1/4-inch to 1/2-inch dice. And of course, all of the fresh produce should be washed and dried before chopping. In a large salad bowl, combine all of the ingredients, and toss with the dressing just before serving. You might also like Nicoise Style Salad.